The immense expansion of the online retail forex trading has also naturally given rise to various scammers, who are only interested in managing to part unsuspecting clients with their funds and just talk the talk without walking the walk and delivering on their promises. A distinctive example of a regulated, reliable forex broker that begs to differ from the various opportunists that keep popping up is Markets.com, which offers forex and CFDs trading and is also a provider of online infrastructures for trading in financial instruments. Through a well-designed and user friendly website which has the added advantage of being highly intuitive, Markets.com offers traders the opportunity to select between dynamic (floating) or fixed spreads. 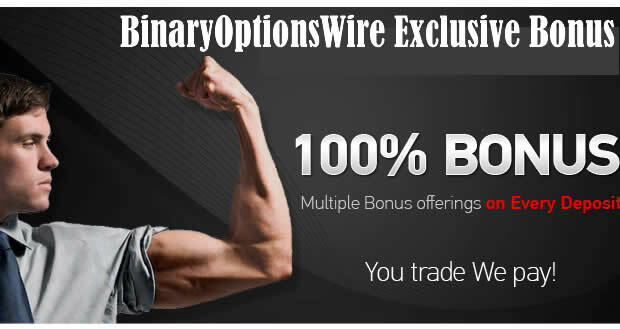 To take advantage of our exclusive bonus, simply open an account on Markets.com by clicking on the link above. Our bonus offer will be automatically acquired. With this powerful platform, which is the most popular in the entire forex industry, traders can execute their traders while benefiting from a variety of dedicated tools which facilitate and enhance the trading experience. This particular platform is Windows based, but it is easily downloadable, and comes packed with tools that are also easy to install and use while trading. The Market WebTrader is easily accessible from any available computer and it does not require any sort of software downloads. When accessing the online forex market through this platform traders can also take advantage of versatile trading tools to help them with their trading. The Market Java Trader is very similar to the Market Trader encompassing all its tools and features without the need to download or install any kind of software, since it is entirely web based. The Market Mobile Trader is a mobile friendly web application accessible through any browser that supports HTML 5. Therefore it is extremely useful for those traders wishing to trade on the go using their mobile devices. This particular platform serves the need of enabling even those who do not own the latest technology mobile phone device to be able to trade, since through the Market WAP Trader, you can still trade even with a dated mobile phone for as long as it supports WAP applications. The Market iTrader, is a dedicated platform for iPhone users, enabling them to trade the Forex market with their Apple iPhone. The Market Autotrader platform enables traders to put to use and benefit from the proven successful trading strategies of others. Traders select the strategy they want to copy and the Market Autotrader automatically replicates it. There are 3 types of account a trader can choose from, each with a different minimum deposit requirement and offering different deposit bonuses, as well as other associated perks, for those who opt to deposit larger amounts. The first type is a mini account, which enables traders to receive a welcome bonus of a maximum of $250, provided they make an initial deposit of at least $100. In order to open a standard account, traders need to make an initial deposit of at least $2500, but they are then eligible to receive a considerably higher welcome bonus, up to a maximum of $2000. To sign up for a VIP account, traders are required to make an initial deposit of $20,000. This type of account also gets to receive free news update as well as free FX signals, which immensely increase the chances of placing successful trades. The height of commissions and spreads varies according to the trade and the platform one chooses, but in general terms the Markets.com fixed spreads starts from as low as 3 pips for the major currency. However, traders also have the option to trade with floating spreads. This is done by simply requesting the Account Manager to switch the trade from the default status of a fixed spread status to a floating spread status. Markets.com makes a variety of options available to its customers with respect to account deposits, since it accepts credit or debit card transfers via Visa, MasterCard and Diners’ Club. Moreover, it is open to the use of wire transfers for both deposits and withdrawals, and it is also possible to use various other local transfer options, provided that a prior discussion and agreement on the matter has taken place between the client and the firm. There are no fees charged by the broker during the deposit and/or the withdrawal procedure, while Markets.com also undertakes to reimburse clients for any charges incurred by the intermediary (e.g. the bank) for deposits that exceed the limit for the mini account, which stands at $2,500. When trading forex through Markets.com another advantage is the straightforwardness of the withdrawal process, which simply needs the submission of a withdrawal request form by the client in order to be initiated. From that point on, withdrawals through a credit card are executed instantly, while withdrawals through other methods may take up to 3 days to be processed. Markets.com places high importance on offering and maintaining a high, impeccable level of customer support to their clients. This is achieved via a comprehensive list of frequently asked questions, a live chat facility as well as local toll free phone numbers in 33 different countries, where company representatives are available 24/5 to offer their assistance and guidance in the local language, while the website itself is available in 25 different languages! A truly international firm, Markets.com also offers a really impressive education section on their site, which includes webinars, video tutorials, ebooks, as well as fundamental and technical analysis, which cater for the needs of traders of all levels of experience ranging from the complete novices to the real professionals. Moreover, Markets.com offers the opportunity to prospective clients to open a practice account in order to get accustomed to forex trading before opening a real account and risking their funds. Markets.com, through its versatile trading platforms, low initial deposit requirement and a high welcome bonus, is a very attractive broker for traders from the first impression. Moreover, via its website and its offerings it manages to project an image of competence, which however is not a mere façade, but seems to have substance as well. Nevertheless, its strongest asset and the reason why it has managed to consolidate its position and grow remarkably in the six years that it has been around in the online retail forex industry is the attention it pays to reliability issues, which helps it earn and retain customers through earning their trust and inspiring them to feel safe and secure when trading forex via Markets.com. Apart from various technical safeguards that protect customers, Markets.com also complies with strict regulatory requirements since its parent company is licensed and regulated by the Cypriot regulator CySEC since 2008, while it is also registered with the South African Financial Services Board (FSB) with FSB number 43906. Being licensed and regulated under the EU’s Markets in Financial Instruments Directive (MiFID) Markets.com is therefore authorized to operate within the EEA meeting all regulatory obligations which ensures a safe and secure trading experience for its clients. Moreover, it is also registered with almost all the EU based regulatory bodies, such as the Italian Commissione Nazionale per le Societa e la Borsa and the German Bundesanstalt fur Finanzdienstleistungsaufsicht, while it also enjoys limited regulation by the UK’s FCA. For all these reasons, if you are looking for a solid, trusted forex broker, then perhaps Markets.com should be your next port of call.